In response to calls from the Environmental Protection Agency (EPA), initiatives are underway in this country to adopt greener technologies and procedures in the consumption of energy. Alarmed at the rate of usage of non-renewable resources, the President has called for greater reliance on renewable resources like solar power, wind power, and others. The Heating, Ventilating, and Air Conditioning (HVAC) industry has understood the impact of this directive, and has actively sought to make greater use of green technologies in its products and services. Here are five areas that will have a big impact on going green. Conventional air conditioning units are powered by electricity, which must be generated by some energy source. According to Barry Franklin of HVACClasses.org, thermally driven chiller developed in Australia is powered by solar energy, and only relies on a backup source of natural gas when wind power is less available. The company also manufactures the required solar panels to generate electricity, and claims that its ‘double-chiller’ system is as effective as any air conditioner on the market, and eliminates the need for electricity. 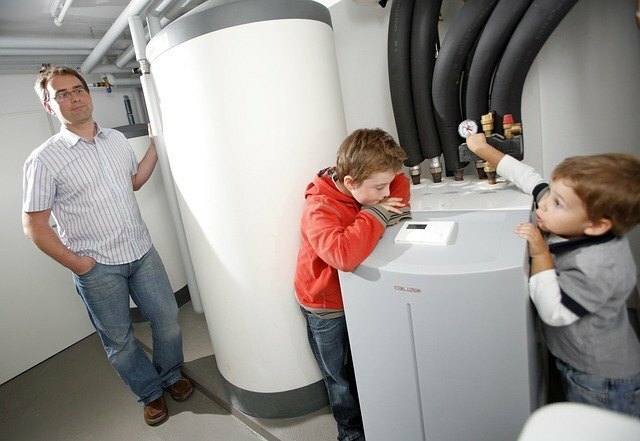 Geothermal heat pumps have been growing in popularity recently because of their reliance on green technology. According to Washington Energy Services, this kind of heat pump makes use of Earth’s heat by a system of piping placed underground. During the winter season or whenever it’s cold outside, the fluid within the pipe system absorbs heat from the ground and carries that heat inside to warm the home, and it works in the opposite manner during warm seasons to conduct cooler air into the home. This configuration has been estimated to be as much as four times more efficient than conventional HVAC systems. This particular kind of duct wrap is made from recycled denim which has been re-purposed from landfills, and contains no components that cause harm or irritation to humans, according to the supplier, Acoustical Surfaces, Inc. Like conventional duct wrap, it minimizes heat loss and heat gain that occur in duct work throughout the home, and it also carries a Class-A fire retardant rating. This green technology is almost as simple as it sounds. By freezing a large volume of water in a tank overnight in the home, energy storage company Ice Energy claims that the ice powered air conditioner makes that ice available to cool the home next day. When the controls on the unit are switched from ‘Charging’ to ‘Cooling’, six hours of cooling are then provided, after which the conventional cooling system would kick in. While this is certainly green technology, it does need to be used in tandem with a conventional cooling system for backup. Before any kind of HVAC equipment is installed in a building or a home, making use of energy analysis software can project the most efficient and the greenest strategy for implementation. By evaluating information like the number of rooms, the kind of usage, and available green energy sources, this software can make recommendations that will result in the greatest cost savings and the best use of energy by a building. One of the big advantages offered by such software is that it can do ‘modeling’, in which various substitutions can be made for HVAC and non-HVAC technologies to determine the best green approaches to be used.